Who gets excited over a bin? 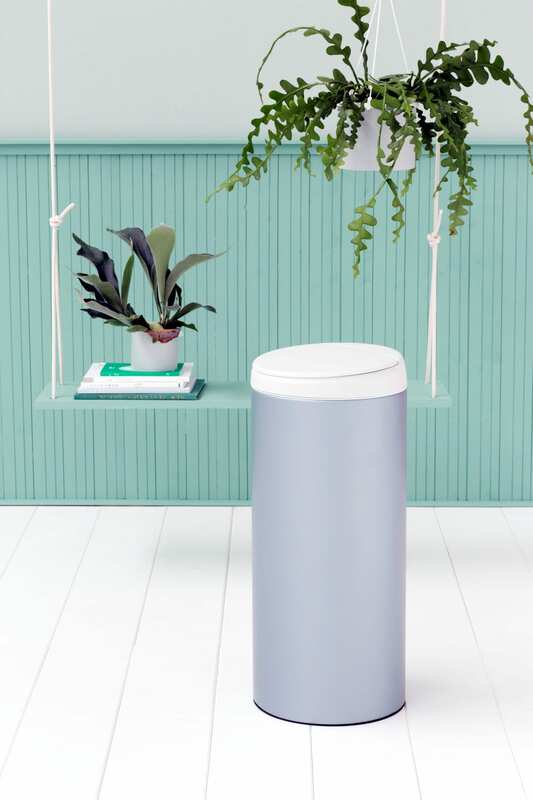 Well when it’s the brand new Brabantia FlipBin in all these amazing colours – I do! 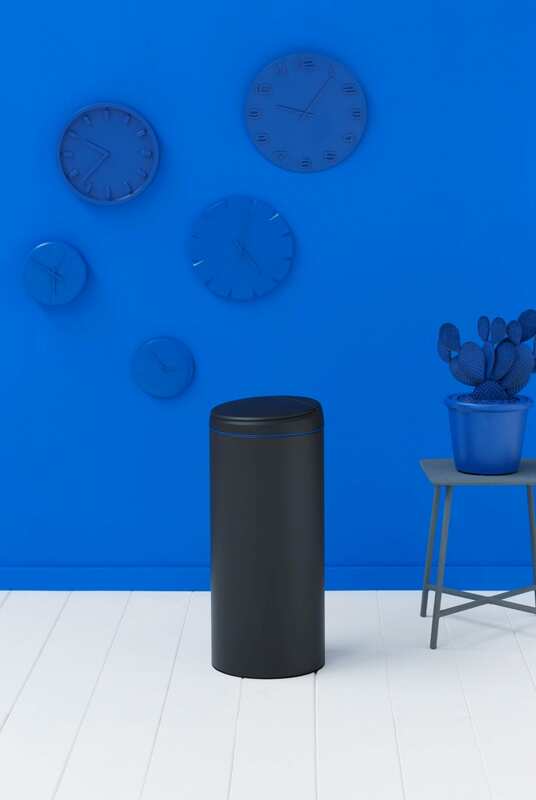 I’m thrilled to be partnering with Brabantia today to show you their new product, and to give one away (in a colour of your choice) to one of my readers. These are just a few of the colours available, you can see the full range HERE but they include Metallic Mint, Passion Red, Anthracite, White, Mineral Pink and Steel. I’ve got a Mint FlipBin in my kitchen and can vouch for its stylish appearance and practical use. And that’s not all. When you open the lid, you get a flash of a bright contrasting colour as the inner bucket is a completely different shade. Mine, the metallic mint is a bright blue. It’s a cute touch. In terms of practicality, what does the new FlipBin give you? Well, one of my favourite features is the fact the softly opening flip lid doesn’t hit the wall. This is a huge bugbear of mine, and the white wall behind the kitchen bin is ruined currently and need repainting. The lid, whilst we’re talking about it, has an easy open operation. With the touch of just one finger, it elegantly opens without crashing against the wall. There’s no need for a pedal (which took some getting used to!). Furthermore, it’s easy to clean and has a protective floor ring. So if you’d like to be in with a chance of winning Brabantia FlipBin in a colour of your choice, complete the Rafflecopter instructions below, sending a tweet and following both me and Brabantia on Twitter. There are extra entries too giving you a great chance of winning. Full Terms and Conditions in the Rafflecopter widget. I love the mineral pink and the metallic mint, I’m slowly changing my kitchen to include more colour, it looks so boring at the minute so this would definitely brighten the place up! The Matt Steel or Anthracite bin would look best in our kitchen as it is, though I must admit the Metallic Mint appeals to me too (and would’ve been perfect for the colours our kitchen was before the current look. Fingers crossed. I love the white one- so minimalist chic! So hard to choose a favourite, but I think Metallic MInt wins it. I’m a big fan of Brabantia products – always well designed and good quality. I think the mineral pink, would look best. Thanks for the lovely giveaway. The Passion Red would fit in with our colour scheme. I think the silver grey bin would suit my kitchen the best, because it blends in well with my white and cream theamed kitchen! Definitely the black one as it would match everything – even if we decided to redecorate! METALLIC MINT is a lovely colour. The matt steel would fit best with my appliances. Oh WOW the gray one would match my white kitchen with black panel, Really nice! I like the Matt steel design! Mineral Pink is the one for me. Definitely Anthracite. Great colour and fab word too 🙂 . The mineral Pink looks perfect!! I love the Matt steel – it would look perfect with our other matt metal accessories! Hard choice but I think Passion red as my kitchen is cream and it could do with being brightened up. My kitchen is so dingy I think I’d go for red! RED is the colour of my Passion for all things ‘kitchen’ !! Anthracite i.e. the black one! The silver / grey one would work really well in our kitchen. Thanks for the great giveaway!! i think the Red would look ace! I love the metallic mint bin, hoping to revamp our 80’s kitchen soon and this would be perfect! I do like the metallic mint. I think the Metallic Mint would look perfect in my kitchen! The Black One Would Be Perfect! The Anthracite (Black) would look super in my kitchen. ANTHRACITE WOULD LOOK GREAT IN MY KITCHEN! metallic mint would look perfect in my kitchen. The white one . It would blend in well with the White units. The silver grey would be fabulous. I love the ANTHRACITE with the flash of bright blue, as my Kitchen Aid mixer is that bright blue too! Black looks nice and simple to clean. Red would be lovely for my kitchen! Anthracite would work best in our kitchen. they grey one would look best! It would have to be Anthracite for me. That’s really hard! Our kitchen is 29 years old and needs replacing. So at the moment the silver/grey would be best. Come to think of it – if I replace the kitchen then the silver/grey would probably still be best! the black one would look great in our kitchen! I think any colour would work. But I guess the black one would be best, as it would match my over, fridge and microwave. I’m torn between white and the steel one – I think I’d go for the steel. The black one would be great if I won thanks! Red would look good as we are redecorating. It would have to be the silver and grey one for me, would go with the style of my kitchen. I think the matt steel one would look best in my kitchen. It would definitely be the Steel for us! These are great. The pink one would match my kitchen perfectly. Metallic Mint would be perfect! The Anthracite really stands out in the picture on the white floor just like mine, so I’d go for that. It’s one bin you wouldn’t mind drawing attention to. Red – always brings me luck! I think Passion Red would work well. The silver/grey bin would work best in my kitchen! It’s hard to choose between the metallic mint and matt steel but I’d probably plump for the metallic mint as it’s a bit different. The Anthracite will look great in my kitchen. I would love the red one for my kitchen! Anthracite would look amazing in my kitchen. I love the Passion Red – a great colour pop for my kitchen. The Silver Grey one would be perfect for my kitchen. The Matt Steel flipbin would be perfect, matches all of my steel kitchen accessories! Moving into a new house soon, and metallic mint would look fab in there! The red would fit best in our kitchen! Metallic Mint would complement my kitchn. I would choose the metallic mint because I have just decorated my kitchen in a blue colour and I think the mint one would go perfectly. 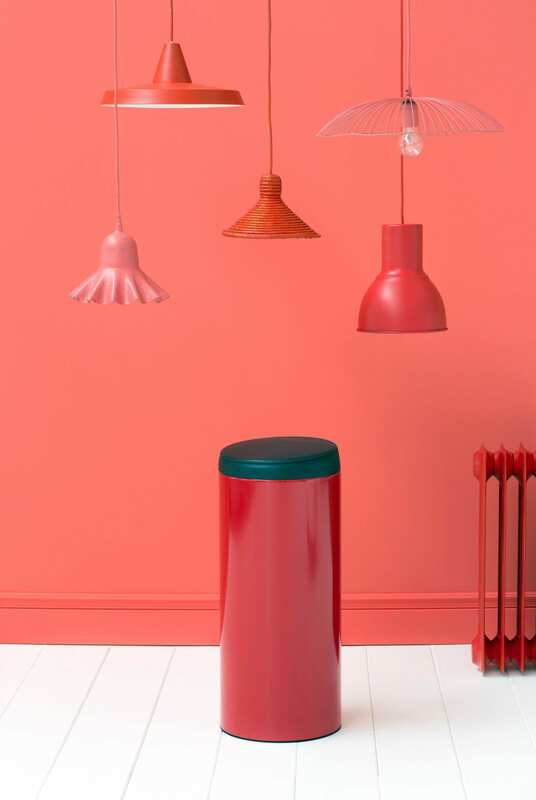 I’d go for the vibrant ‘Passion Red’ Ive always wanted a Brabantia bin!!! Red please – to match the kettle, bread bin, slow cooker and coffee machine! The silvery one. We currently have one but the hinge on the lid is broken..fingers crossed! !! Metallic Mint would be perfect. Love the Mineral Pink, would love this for my kitchen! The Matt black one is gorgeous. The black and blue – so stylish! I desperately need a new bin so fingers crossed! The metallic mint is lovely. The white one would look best in our kitchen. White would work best as my kitchen is all white but I love the passion red. I’ve just got a new black oven, so the black would look awesome. Thanks for the opportunity. the mineral pink would be just amazing!! I would like the Anthracite one for my kitchen. Definitely the black one as I have a black, white and grey kitchen so this would look fab. I don’t have a bin at the moment as I use carrier bags but now need to buy a bin as it’s going to cost me 5p each time! The Steel bin as it would match the steel applicances in my kitchen. I WOULD LOVE THE RED BIN. MY KITCHEN HAS A RED THEME, I HAVE GLOSSY RED DOORS, RED ELECTRICALS, RED EVERYTHING…….BUT, I HAVE A SILVER BIN AND IT JUST DOESN’T MATCH. I WOULD LOVE TO WIN A RED BIN, IT WOULD LOOK PERFECT. The Matt Steel would match my “white” goods. I bought a red flip bin (not brabantia) to match my kitchen. It lasted 6 months before the catch popped across the kitchen and the lid stayed up. Took it for a replacement. 6 months later – same again. Just got another replacement last Saturday. I do like the look of it – but I am kind of resigned to a 6 month exchange rotation. So a red brabantia could cure my woes. Matt Steel would look great in my kitchen. Steel would look best in my kitchen. Thanks for the chance. Matt Steel would be the best match for my kitchen. The Metallic Mint, such a wonderful colour. The matt steel would be best for my kitchen. I love the mineral pink one and the white one would also look good. I think matt steel would be best for our kitchen. Would love one of these. I have a purple and silver themed kitchen, so the Matt Steel one would work best for me. I love the black bin. Well, my kitchen is in dire need of a makeover, so I might just choose a bin and design the kitchen around it! Love the red. Matt Steel would work best but the Metallic Mint would look good too!